Beginning December 17 at the Petersen Automotive Museum is The Unconventional Canvases of Keith Haring, the world’s first exhibit to feature the entire collection of Keith Haring Art Cars. They’ll be four cars on display marked up in Haring’s signature style, including a 1963 Buick Special, 1971 Land Rover Series III, 1990 BMW Z1 and a 1962 SCAF/Mortarini Mini Ferrari 330 P2 Motorized Child’s Automobile, as well as one Haring-decorated motorcycle, a 1987 Honda CBR1000F Hurricane. All were painted between 1983 and 1990. Keith Haring was an artist and activist whose iconic work straddled the line between high art and street art. A leading figure in New York’s East Village art scene of the 1970s and ‘80s, his approachable pop-graffiti aesthetic typically explored themes of birth, death and sexuality. His fluid, bold outlines of babies, barking dogs, flying saucers, hearts, and Mickey Mouse were prolific–covering canvases, subway walls, fashion collections, posters, wine labels, and even Grace Jones’ body. The cars on display at the Peterson “serve as examples of the unconventional surfaces on which he painted and include meaningful icons that reflected specific people, sites, or Haring’s own philosophies about politics, society and art,” the Automotive Museum said. 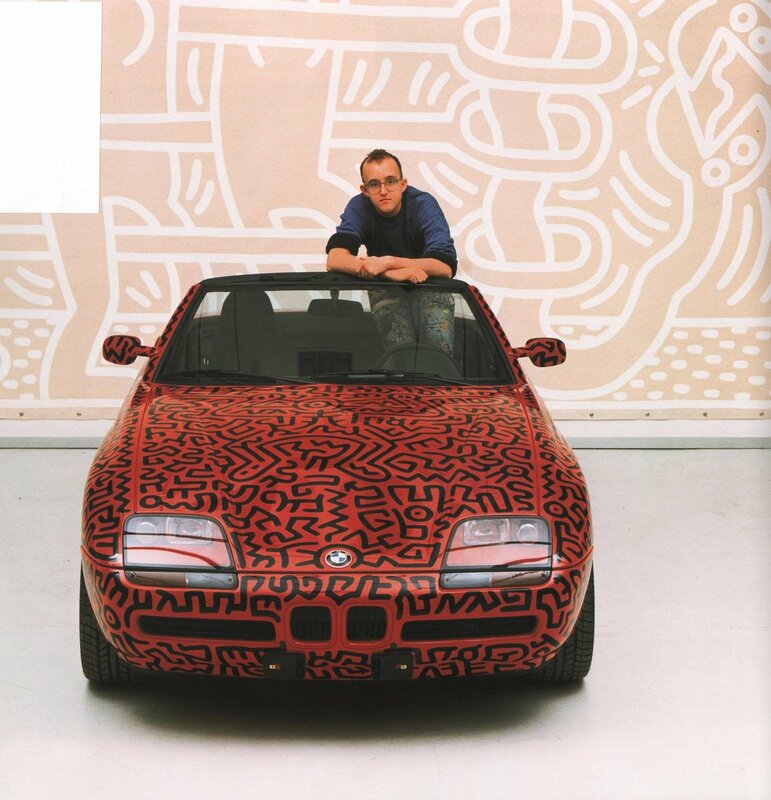 The Unconventional Canvases of Keith Haring opens December 17 at the Petersen Automotive Museum. Tickets for the opening reception and preview on Thursday, December 15 featuring Peanut Butter Wolf of Stones Throw Records and food by Drago are available now.